Career Advice I want to be a service designer ... what will my salary be? The Role: Service designers study business operations from a customer’s perspective with the ultimate aim of eliminating pain points and delivering a consistent customer experience in every interaction they have with a business. “The focus is a lot more on the end user, the customer side of things, using the customer’s perspective as an anchor to adjust operations so that the focus is on servicing people, as opposed to just operational efficiency,” said Andrew Fung, a service designer for Vancouver-based Reliq Health Technologies. He explains that service designers operate across an entire organization as it relates to customer interactions, whether it’s through a call centre, online experience, interactions with employees, packaging, in store-experiences and more. Mr. Fung adds that service designers split their time between collecting data on customer experiences in the field, working with researchers to extract trends and insights from that data, and in workshops with other stakeholders turning those insights into actionable results. Service designers can be found both in-house and operating on a freelance basis, both within the private and public sectors. Service designers are most commonly employed by larger organizations in industries such as financial services, health care, telecommunications and public sector organizations. A recent blueprinting session facilitated by Andrew Fung. Salary: According to Mr. Fung, the starting salary for service designers in Vancouver is approximately $65,000 a year, with mid-career professionals earning between $75,000 and $80,000 annually, and the highest salaries in the field reaching upwards of $120,000 a year. “That’s on the West Coast, and I would factor in an East Coast increase in there,” he said. Beyond geographical differences, Mr. Fung says the factor that most significantly impacts salary expectation is a demonstrated ability to turn the data gathered into actionable solutions. Education: As a relatively new role there are no formal licensing or training requirements, and Mr. Fung says service designers come with a wide range of educational backgrounds. “I have a user experience design background, but a co-worker had a corporate sales background, and someone else I worked with had an education background," he said. "It's very varied, but at the end of the day it's about demonstrating competency around understanding the business, understanding customers, understanding people, and being able to communicate all of those things well." Mr. Fung adds that there are a number of short-term educational programs dedicated to service design across Canada, offered by organizations such as Invensis Learning and Design Thinkers Academy. Job Prospects: While the role is relatively new, organizations are increasingly identifying a need for service designers, Mr. Fung says, thanks in large part to the recent spike in interest in user experience design for digital products. “The job prospects are really good right now, because a lot of organizations are starting to understand that the experiences they deliver go beyond the digital,” he said. 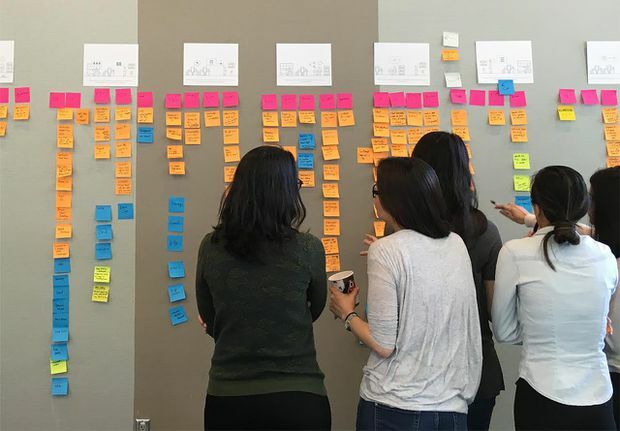 Challenges: Service designers work with a wide variety of individual departments and stakeholders in order to deliver a more seamless and consistent customer experience, but Mr. Fung says facilitating collaboration across departments is not without its challenges. Why they do it: While facilitating collaboration across departments is not without its frustrations, Mr. Fung says service designers often enjoy the satisfaction of helping an organization provide a better experience for those that utilize its services. Misconceptions: Mr. Fung says the role is still often confused with a more traditional customer service role, though its scope goes far beyond trouble-shooting.